Power showers are able to increase the flow rate of the water substantially. Therefore, a wonderful massage effect can be enjoyed. This strong torrent of water can also be controlled to exacting requirements. Products displayed under this category are even combined with the aforementioned electrical control systems. 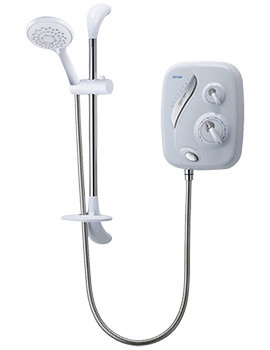 For those who are searching for a physically stimulating experience, our range of power showers is not to be missed. You need to ensure the doors of a quadrant needs to be tightly fixed to their frame and should contain a gasket to prevent any excess water from escaping. These models, unlike Electric ones, have a built-in pump and use water from the hot and cold tanks and are very handy where water pressure is low. 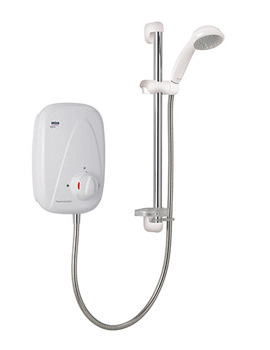 We have a complete range, which includes products from Triton, Mira and Aqualisa. Select the right one for your bathroom from the options below.